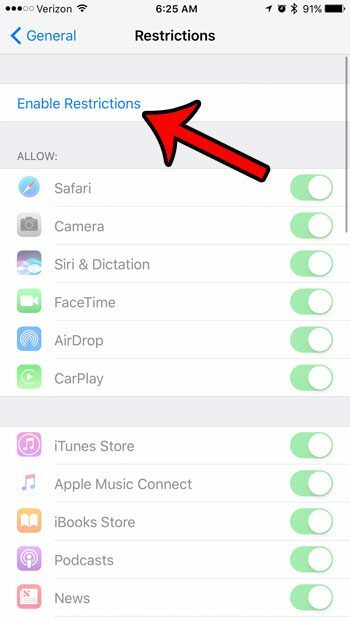 If you are setting up an iPhone for someone and you don’t want them to be able to browse the Internet, then you might be looking for a way to block all websites on an iPhone. 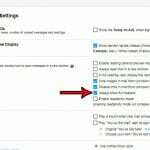 By performing this action you will be able to ensure that they cannot directly browse to a site, nor can then click a link to a site to open it in a Web browser. 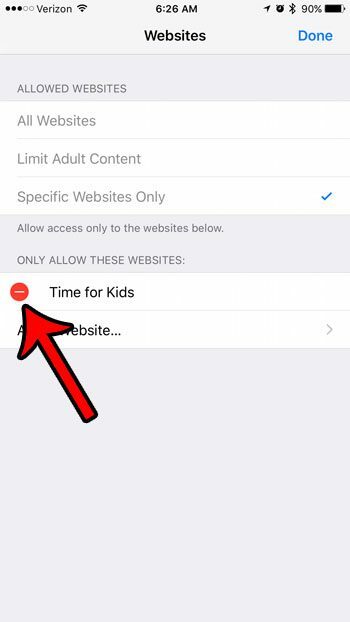 Blocking all of the websites on an iPhone is most commonly done when giving an iPhone to a child in case of emergencies, but there are a number of different situations where it might be effective. 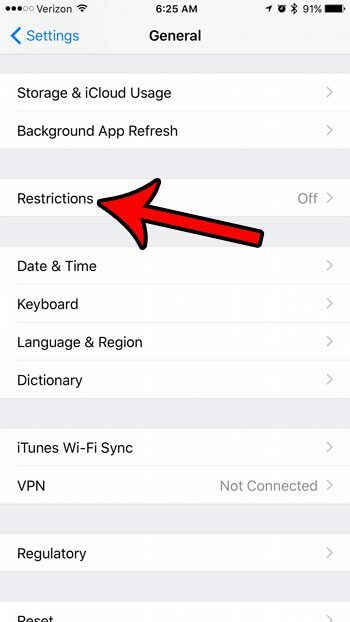 Luckily there is something on the iPhone called the Restrictions menu that allows you to restrict certain activities on the device. 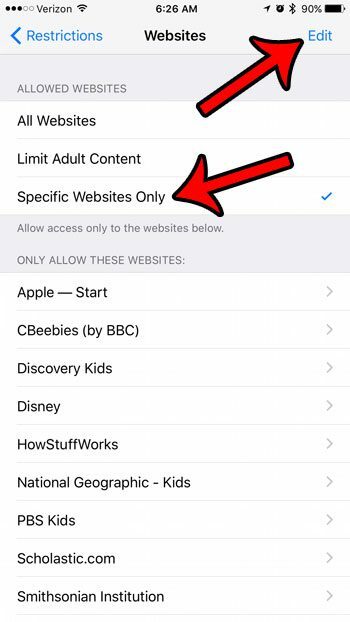 So continue below to see what setting to adjust on the Restrictions menu to block all websites on that iPhone. 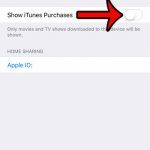 The steps in this guide were performed on an iPhone 7 Plus, in iOS 10.2. 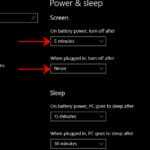 These steps are going to prevent any website from opening in any Web browser on your iPhone. 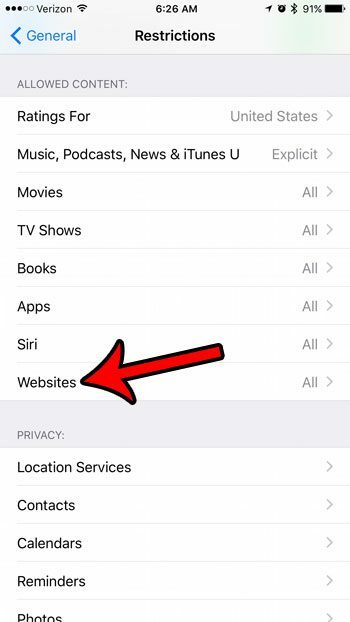 This means that not only will websites be blocked int eh Safari browser on your iPhone, they will also be blocked in third-party browsers such as Chrome or Firefox. Step 3: Tap the Restrictions button. Step 5: Enter a passcode for the Restrictions menu. Note that this does not need to be the same passcode that is used to unlock the device. 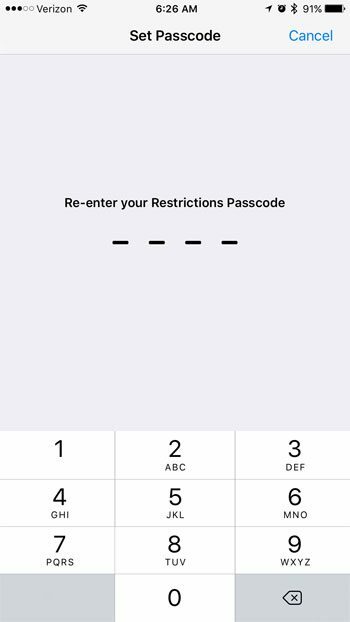 In fact, the Restrictions menu is more effective if it is a different passcode, as anyone that is trying to get into the Restrictions menu will likely already know the device passcode. 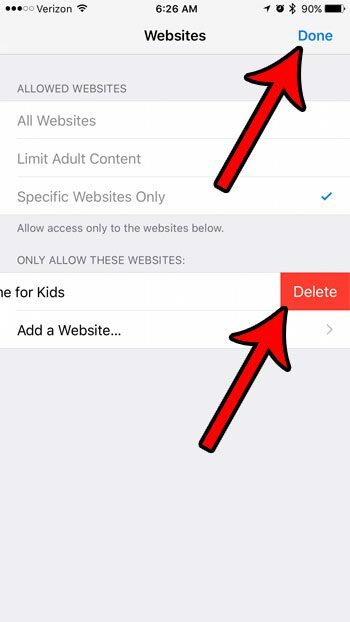 Step 7: Scroll down and select the Websites option in the Allowed Content section of the menu. Step 8: Tap the Specific Websites Only option, then touch the Edit button at the top-right of the screen. 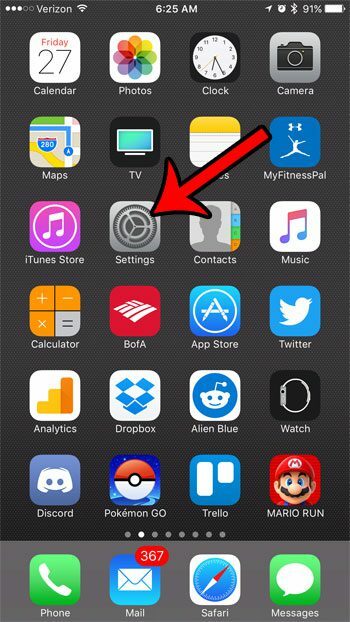 Step 9: Tap the red circle to the left of a site listed in the Only Allow These Websites section. Step 10: Touch the red Delete button. Repeat steps 9 and 10 for every site listed in this section. Once there are no more websites listed, tap the Done button at the top-right of the screen. Do you use your iPhone for work, or are you setting up an iPhone for someone else to use at work? 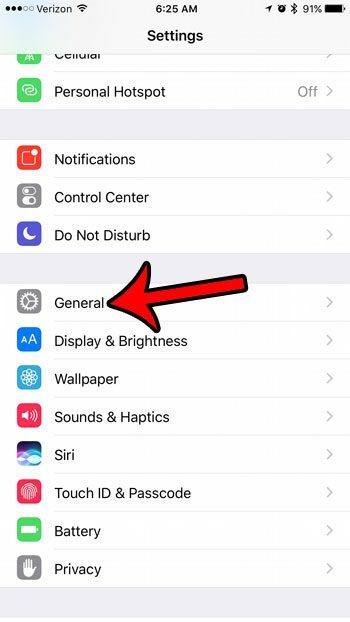 Learn about some helpful work settings on the iPhone that can make the device a more productive tool for a business environment.